There are four common psychological hazards that frequently arise in relation to emotional development during the babyhood years. It would be impossible to rate these in order of their seriousness as hazards to good personal and social relationships as babies grow older. All are serious if they develop into habits during the babyhood years. On the other hand, if they are recognized and corrected, the chances of their persisting will be greatly decreased. Babies who are not given the opportunity to experience the normal emotions of babyhood – especially affection, curiosity, and joy – do not thrive physically. If emotional deprivation is severe and prolonged, it inhibits the secretion of the pituitary hormones, including the growth hormone, and this may lead to what has been called “deprivation dwarfism”. In addition, emotional deprivation in babyhood often causes babies to be backward in their motor and speech development and they do not learn how to establish social contacts or show affection. They usually become listless, depressed, and apathetic and often develop nervous mannerisms such as thumb-sucking. Stress – a prolonged unpleasant emotional state, such as fear or anger – can cause endocrine changes which upset body homeostasis. This, then, is reflected in eating and sleeping difficulties, in nervous mannerisms such as excessive thumb sucking, and in excessive crying. There are many causes of stress – poor health, parental neglect, and poor environmental conditions that interfere with proper sleeping and eating – but constant and close association with a nervous, tense mother is a particularly important factor. Parents who are oversolicitous or over demonstrative encourage their babies to focus their attention on themselves and to become self-bound and selfish. Babies thus expect others to show affection for them but they do not reciprocate. Conditions in the baby’s environment encourage the development of certain emotions to the exclusion of others, and these eventually become dominant unless conditions change and the development of other emotions is encouraged. 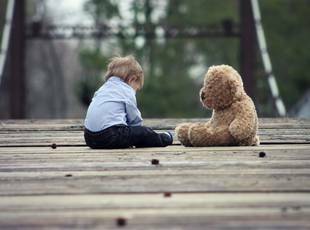 Timidity may persist long after babyhood if a shy or fearful child is exposed to too many strangers or too many frightening situations. Unless a stable and satisfactory substitute is provided, babies who are separated from their mothers develop feelings of insecurity which are expressed in personality disturbances that may lay the foundation for later maladjustments. Babies who fail to establish attachment behaviour with their mothers, or some stable mother-substitute, suffer from feelings of insecurity similar to those associated with separation from their mothers. In addition, they do not experience the pleasures that come from close, personal relationships. This handicaps them in establishing friendships as they grow older. The deterioration in family relationships that almost always occurs during the second year of life is psychologically hazardous because babies notice that family members have changed attitudes toward them and treat them differently. As a result, they usually feel unloved and rejected – feelings which lead to resentment and insecurity. Babies who are overprotected and prevented from doing what they are capable of doing become over dependent and afraid to do what other babies of their ages do. This, in time, is likely to lead to abnormal fear of school – school phobia – and excessive shyness in the presence of strangers. Inconsistent child-training methods – which can be the result of permissiveness or of parents’ feelings of inadequacy in the parental role – provide poor guidelines for babies. This slows down their learning to behave in approved ways. When parents are unhappy in their parental roles or when a frictional relationship exists between them, some babies become the targets of anger and resentment. The babies are either neglected of abused. The second year of life is a more common time for child abuse than the first because babies are more troublesome to their parents and this triggers the outlet of anger, resentment, and other unpleasant emotions engendered in the relationship of the parents.